← Am I Really In Paris? In the last six months or so, Paris has begun making these cute electric cars available for short-term use and low fees. The program is very similar to the very successful program for bikes (Velib). The Autolib stirred some controversy when it was introduced. The traditional car rental companies didn’t like it, for one. Anyway, I don’t really know how people feel about them now, or how successful the program is proving to be, but I do see many stations of these little cars all over town. Here is a CNN story on the cars in Paris, if you want to know more about how it works. I, myself, am still resisting driving anything in Paris, no matter how it’s powered or how small it is. I’m very happy with the buses, metro, and my own two feet. 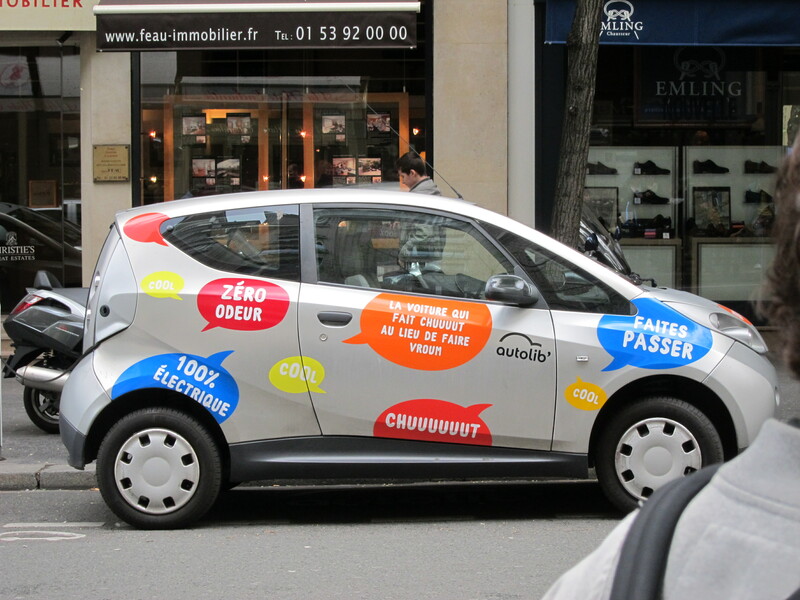 There’s a similar program in Austin with Smartcars (but they’re not as pretty as the Paris ones). Apparently it’s pretty popular as I see those little cars parked all over Central Austin . I’d be afraid of being run over by a big truck though!